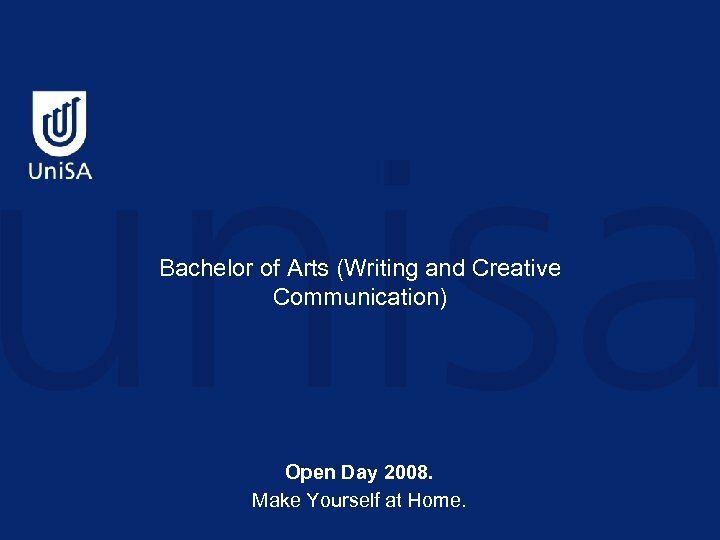 Bachelor of Arts (Writing and Creative Communication) Open Day 2008. 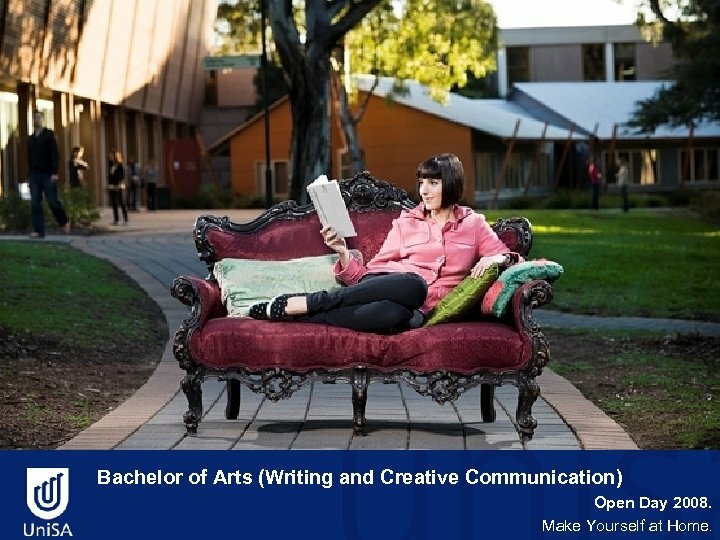 Make Yourself at Home. 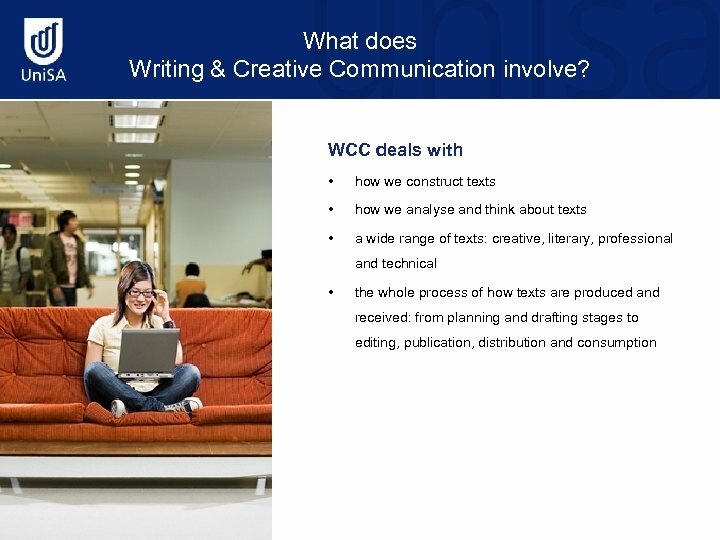 Is Writing and Creative Communication for you? 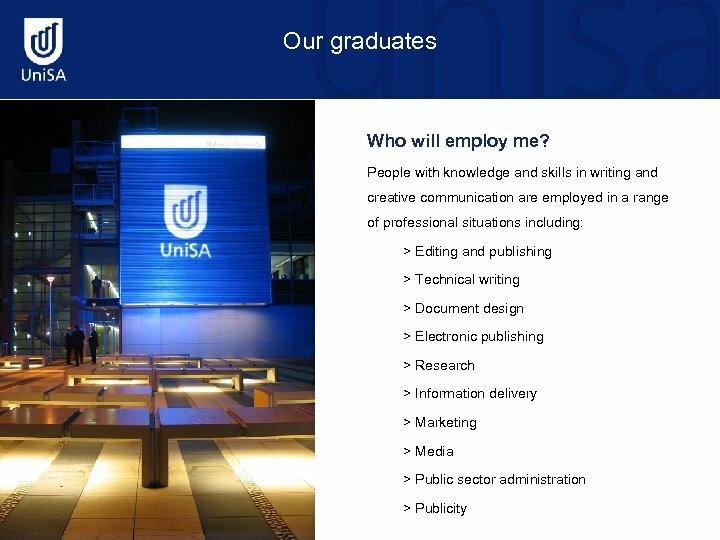 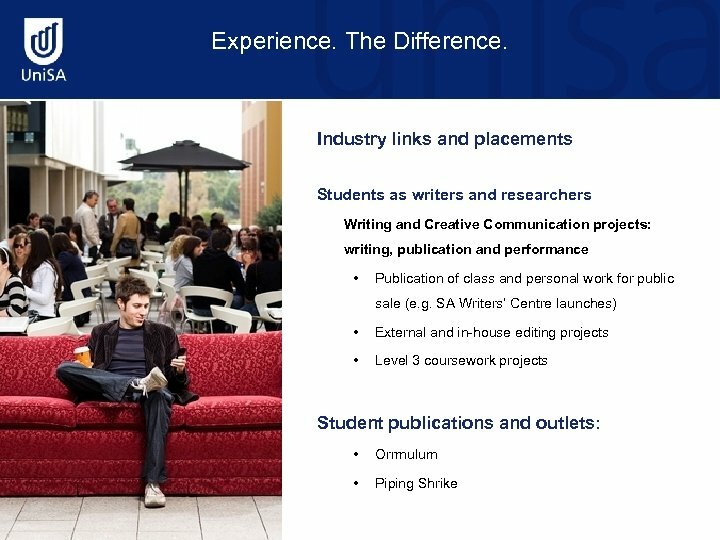 Are you interested in writing, editing and publishing? 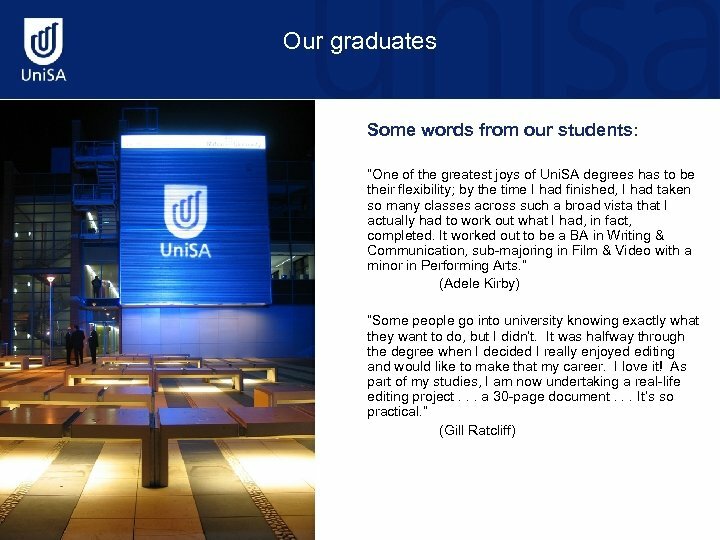 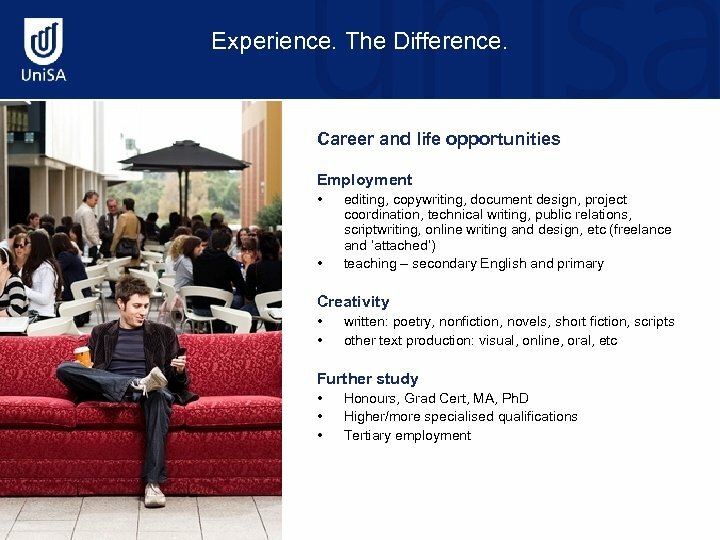 Are you looking for a more practical approach to the study of English? 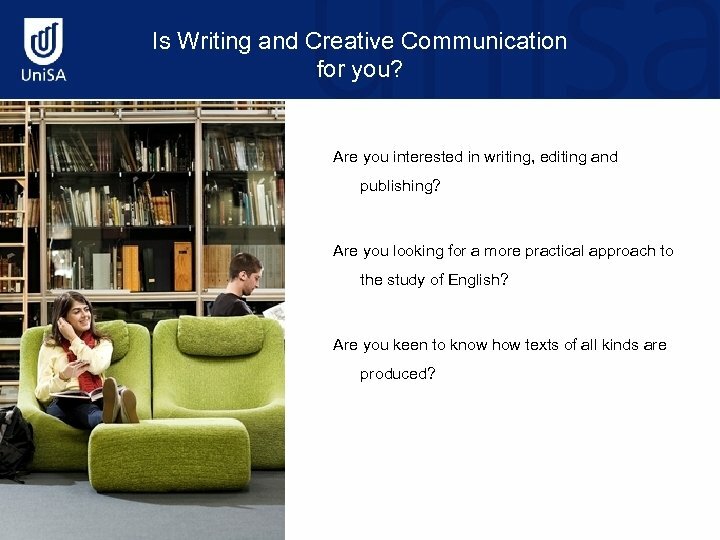 Are you keen to know how texts of all kinds are produced? 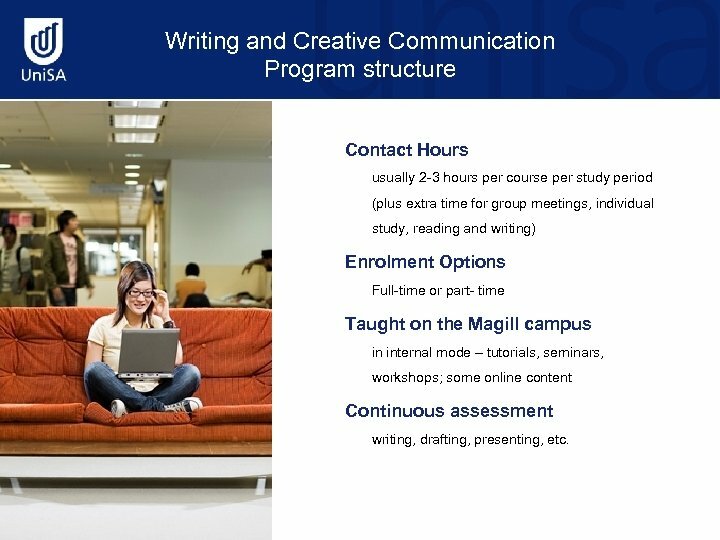 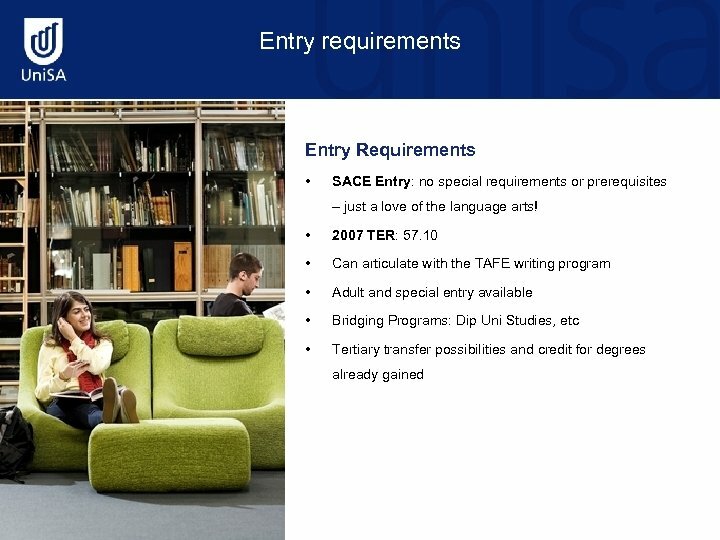 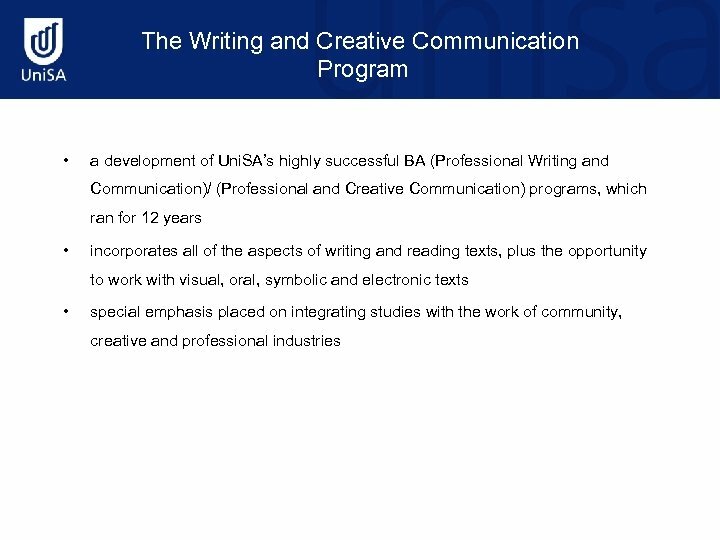 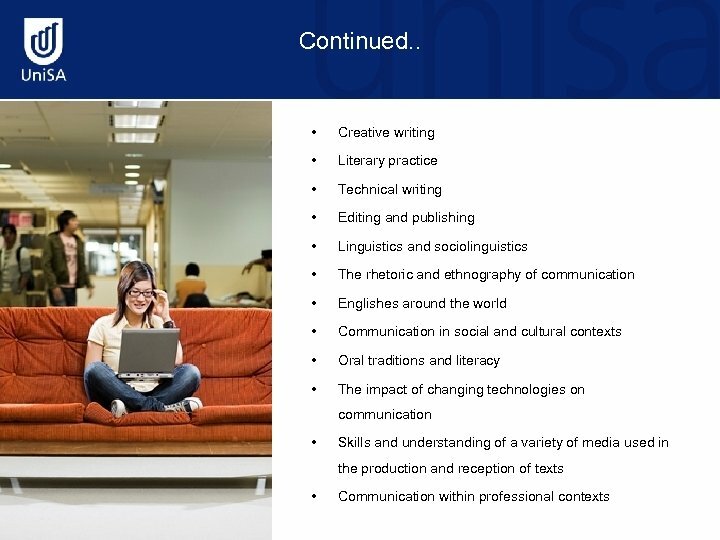 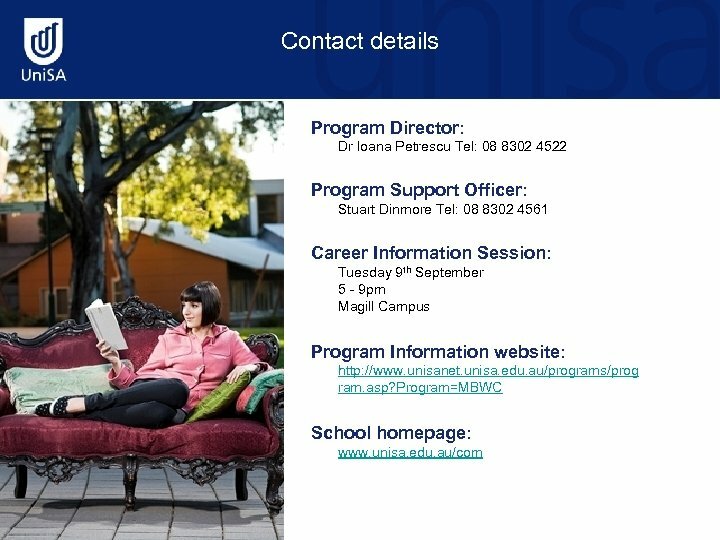 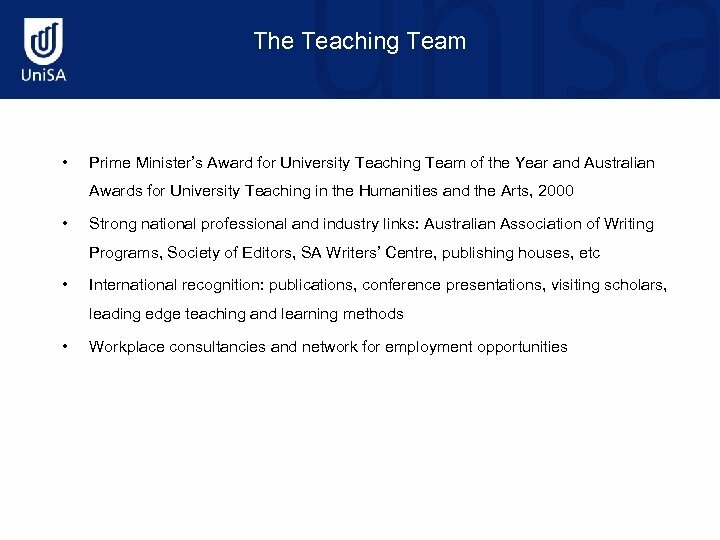 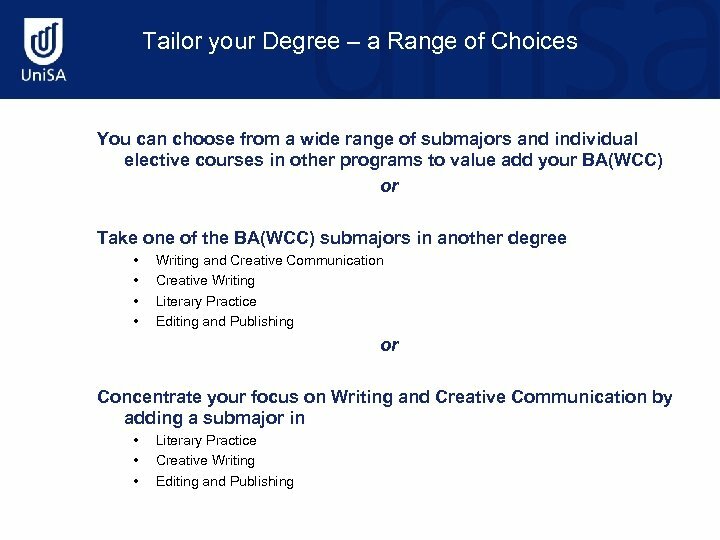 Writing and Creative Communication Program structure Contact Hours usually 2 -3 hours per course per study period (plus extra time for group meetings, individual study, reading and writing) Enrolment Options Full-time or part- time Taught on the Magill campus in internal mode – tutorials, seminars, workshops; some online content Continuous assessment writing, drafting, presenting, etc.